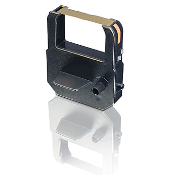 VIS6002 - Ribbon Cartridge for 5000E (Purple). Replacement cartridge for the (retired) 5000E Time Recorder. 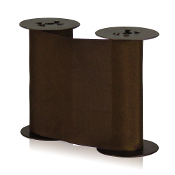 VIS6008 - Purple color ribbon replacement cartridge for a variety of Lathem time clocks/document stamps - Models: (LT5000, 900E, 1000E, 1500E, 1600E, 5000EP, 7000E & 7500E). 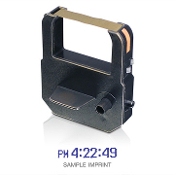 Purple Lathem LT Series time clock ink ribbon replacement for Lathem document stamps. 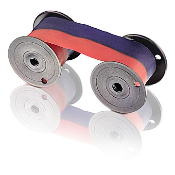 7-2CN - Ribbon For Lathem Time Recorders in the 2000, 3000, 4000, 8000 series - Blue & Red.